HI! 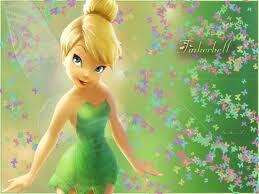 I AM TINKERBELL'S BIGGEST EVER پرستار NO MATTER WHAT!!!!!!!!!!!!!!!!!!!!!!!!!!!!!!!!!!!!!!!!!!!!!!!. I AM AS ALWAYS TINKERBELL'S BIGGEST EVER پرستار NO MATTER WHAT!!!!!!!!!!!!!!!!!!!!!!!!!!!!!!!!!!!!!!!!!!!!!!!. Wallpaper and background images in the Tinkerbell club tagged: i am always tinkerbell's biggest ever fan disney. This Tinkerbell photo might contain پورٹریٹ, آرچر, closeup, تصویر, and ہیڈشوٹ. INFINITY% TRUE TRUE TRUE NO MATTER WHAT HAPPENS!!!!!!!!!!!!!!! !1000000000000000000­­00­0­0­00­­000­­00­0­0­00­­000­­00­0­0­00­­000­­00­0­0­00­­000­­00­0­0­00­­000­­00­0­0­00­­000­­00­0­0­00­­000­­00­0­0­00­­000­­00­0­0­00­­000­­00­0­0­00­­000­­00­0­0­00­­000­­00­0­0­00­­000­­00­0­0­00­­000­­00­0­0­00­­000­­00­0­0­00­­000­­00­0­0­00­­000­­00­0­0­00­­000­­00­0­0­00­­000­­00­0­0­00­­000­­00­0­0­00­­000­­00­0­0­00­­000­­00­0­0­00­­000­­00­0­0­00­­000­­00­0­0­00­­000­­00­0­0­00­­000­­00­0­0­00­­000­­00­0­0­00­­000­­00­0­0­00­­000­­00­0­0­00­­000­­00­0­0­00­­000­­00­0­0­00­­000­­00­0­0­00­­000­­00­0­0­00­­000­­00­0­0­00­­000­­00­0­0­00­­000­­00­0­0­00­­000­­00­0­0­00­­000­­00­0­0­00­­000­­00­0­0­00­­000­­00­0­0­00­­000­­00­0­0­00­­000­­00­0­0­00­­000­­00­0­0­00­­000­­00­0­0­00­­000­­00­0­0­00­­000­­00­0­0­00­­000­­00­0­% TRUE !!!!!! !